The 2021-22 edition of the world’s premiere fully-crewed around the world race will feature two classes of boats, the IMOCA 60 and the VO65 class. Each class has its distinct characteristics, and the inclusion of both means the race will be more open and inviting to sailors and designers as well as more engaging to a broad spectrum of fans, increasing value for stakeholders. Crews will race boats within their own classes and two trophies will be awarded. Teams will be permitted to enter each class. The IMOCA 60 is a design-driven, foil-assisted monohull on the cutting edge of technology. Perhaps best known for its use in short-handed races like the Vendée Globe or Route du Rhum, the class will be adapted by leading yacht designers to accommodate a full offshore crew who will be pushed to their limits racing this boat around the world. In contrast, the VO65 is a one-design offshore racing boat that was used in the last two editions of the Volvo Ocean Race. 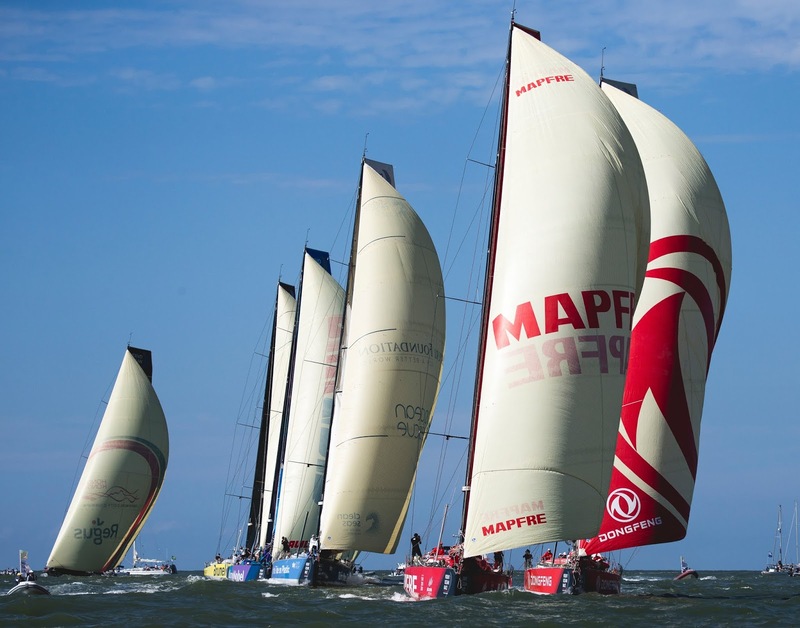 The 2017-18 edition, won by Dongfeng Race Team, was the closest in the 45-year history of the event, in large part due to the strict one-design racing which equalised the performance potential of the boats. “By opening the next race to the IMOCA 60 and the VO65, we intend to attract the very best sailors, designers and teams in the world to take up the challenge of competing in the pinnacle fully-crewed around the world race,” said Johan Salén, co-owner of the event. “The introduction of the IMOCA 60 brings a design and engineering element to the race that keeps us at the cutting edge of technology and performance and will be appealing to the most competitive performers in our sport. “And we’ve just seen how close and compelling the event can be when strong teams are racing the one-design VO65. Opening the race to both classes gives us the best of both worlds.” The VO65 class will have a strong orientation towards youth, building on the experience of the most recent edition, which featured a talented crop of sailors taking on the challenge of the race for the first time, including several Olympic medallists and America’s Cup winners. “This is where the stars of tomorrow are born,” Salén said. “We want to encourage teams to give opportunities to younger crew, in order to bring some of the top talent from smaller boats, for example, into the offshore world.” Race management is currently working on a preliminary Notice of Race for the 2021-22 event, which is expected to be published in the autumn, and will include details on crew numbers and crew diversity incentives and/or restrictions for each class. Concurrently, in conjunction with The Sports Consultancy, work is intensifying to identify exceptional cities for the stopover ports in the next race. The selection of these Host Cities will define the route of the 2021-22 race, which is expected to include 8 to 10 stopovers, while maintaining the Southern Ocean legs of the race. “Together with the race organisers our experienced host procurement group is looking forward to taking the next edition of the race to market and engaging with potential stopover cities around the world who share our enthusiasm about the exciting evolutions that the next race will bring,” said Robert Datnow, Managing Director of The Sports Consultancy. "I expect the bidding process to be hotly contested and highly competitive”. The next edition of the race will start from Alicante, Spain in September/October of 2021, and finish in Europe in May/June of 2022. “Since the most recent edition finished last month we have been working hard to define the evolution of the race heading into 2021 and beyond,” said co-owner Richard Brisius. “Our priority is to stay true to the core values of the event as we move forward. We want to promote a sustainable race around the world that will be a relentless and exhilarating competition between teams comprising the very best sailors, designers and boat builders in sailing. More information about the next race will be released in the coming weeks and months, including updates on the Notice of Race and Host City selection. 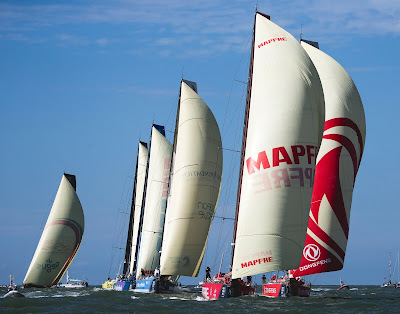 The Volvo Ocean Race 2017-18 finished on June 30 with the seven teams competing in the final In-Port Race in The Hague. Fans enjoyed the closest finish in race history, with three teams starting the final leg in a dead heat for the race win. Charles Caudrelier’s Dongfeng Race Team would become the first Chinese-flagged team to win the race over Xabi Fernández and his Spanish MAPFRE crew; their second place result was the best ever for a Spanish team. Bouwe Bekking’s Team Brunel would complete the podium on his eighth attempt at the title. For the first time in race history, female sailors were integrated into each race crew and Carolijn Brouwer, Marie Roux and Justine Mettraux became the first women to win the Volvo Ocean Race. Utilising a strategy of promoting raw content direct from the on board reporters and sailors on each race boat, the event set new records for online and social media audience numbers and fan engagement. As a live event experience, nearly 100,000 corporate guests attended at least one of the 12 stopover cities, where the Race Villages attracted over 2.5-million fans. On May 31, 2018, organisers confirmed the next race will take place in 2021 under new ownership. The transfer of ownership to Atlant Ocean Racing Spain is expected to be completed and take full effect as of October 1, 2018, with Volvo continuing as a sponsor of the race.